The Earth is now distant... makes you wonder where his new studio is. ATB is now an experienced artist, and he seems to know exactly what direction he wants to take. With each album, he has tried to always change his sound yet simultaneously maintain it, all the while maturing his skills in the process. In what might be his most aurally polished album yet, "Distant Earth" continues to build upon the foundation of constant improvement identified with ATB's ever-evolving music. The first disc consists of, essentially, ATB's more upbeat, slightly more club-friendly trance songs, though I don't necessarily see them entering the same tracklist as the more energetic releases from other popular electronic artists today. 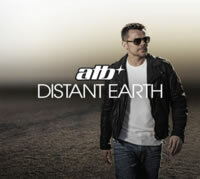 ATB has always had a chillout vibe to much of his music, often combining ambient tracks alongside the dance tunes. In more recent times, however, he has managed to inject most, if not all, of his songs with that beach vibe, making them less suited for a dancefloor and more for a party along the shores of Ibiza. This is illustrated quite effectively throughout the album, such as on the Cristina Soto collaboration of Twisted Love (Distant Earth Vocal Version). Originally an instrumental single released between albums, new vocals were added to give it a more angelic feel. On the flipside is the more minimalistic Gold, featuring ATB's frequent songwriting associate, JanSoon (also known as Jan Löchel, who appears to fall under multiple pseudonyms). Thumping old-school bass leads us to the piano-focused chorus, which is typical of ATB's style, though I would have never suspected it to be catchy or unique enough for a single. I was proven wrong. All I Need Is You, featuring Sean Ryan, is another testament to ATB's ability to mix club beats and an ambient background to form a cohesive creation. But again, like in Gold, it's more the combined sum of its parts that make the song and not any element in particular. In other words, the song isn't particularly noteworthy in any one regard, but as a whole, it would work well as background music to a laidback excursion along a sunset-glossed beach. That may end up being a pattern on this album: not entirely exciting on the surface, but most assuredly atmosphere-defining, all in all. Other songs such as If It's Love with Melissa Loretta keeps this theme going, focusing much more on an acoustic vibe and timid female vocals than a dancefloor-based offering. One track that stood out as one of the most impressive was Move On, again using the talents of JanSoon. Initially a rather melancholy tale of the agonized lover trying to "move on" from a bad relationship, it eventually turns into a more club-tailored hit (and a single, no less). Criticism arose from the overdilution of the vocals, but I believe that it adds to the song's effect. Chapter One, a purely instrumental collaboration with newcomer Josh Gallahan, delivers the symphonic, emotional club hit that every ATB album always delivers and would fit well alongside other ATB classics such as "Alcarda", "IntenCity", and "Sunset Girl", though with a slightly more up-to-date sound. Heartbeat, employing guests Amurai and Melissa Loretta, is another of the album's highlights, offering a more subdued thumper with some infectiously deep (but not overly so) bass alongside Loretta's now familiarly subtle beautiful vocal style. Furthermore, ATB's Killing Me Inside pulls Sean Ryan's vocals for another round in the midst of a downtempo affair. I've been finding his voice to be rather ineffective on the album; he is having difficulty differentiating himself from the already saturated sea of male vocalists out there and his relatively laidback efforts come off as generic at best, making any songs he appears in less effective overall. Luckily, trance experts Dash Berlin help ATB in making a swift comeback with a high energy number called Apollo Road, combining ATB's now legendary piano riffs with an edgy synth that could easily force a raver crowd to go berserk with glee. Popular rock singer (at least in Europe) Rea Garvey, who has also lent his vocals to projects by Paul Van Dyk and Jam & Spoon, tries his luck here with Running A Wrong Way, which is just a strange title from a grammatical perspective. His vocals are far more sparky, pushing this otherwise non-descript song into "worth a brief listen" territory. ATB's trance side continues to rear its head in full force on Where You Are featuring Kate-Louise Smith, sounding like any other powerful vocal trance being released these days (I'm looking at the entire Anjunabeats label from the U.K.). release to date. Not that that's a bad thing, mind you, as I tend to enjoy vocal trance, though perhaps not all the time. This Is Your Life with Fuldner serves more as a reminder of what ATB used to sound like 20 years ago -- this wouldn't be out of place on his earliest albums with its semi-calypso melody of yesteryear. It almost seems like the collaboration is heavily dominated by ATB's old-school brain! One of my favoured songs on this disc is One More, again featuring vocalist Cristina Soto. It may not be the greatest song on Earth, but damn, if it isn't just an uplifting brief trance number to put a smile on your face. Last but not least is White Letters, again allowing Melissa Loretta to pop up. Boy, this song is neat while wearing headphones: the stereo messes with your ears! Other than that, it's a slightly chilled beach track to conclude your relaxing day... or perhaps to start one anew. Admittedly, at first, my brain was a bit resilient to all his songs; only after listening several times was I able to understand the intricacies and enjoy the songs as they are. This may be the same for you as well. ATB's been tacking on a second disc to his albums as of late, showing off his ambient abilities. This never seems to be the focus of the album (clearly the more upbeat material takes precedence), but for those who enjoy even MORE relaxing music, this could be your lucky day. I, myself, find that it may cause drowsiness, but to each his own. Tracks such as Vice Versa with legendary trance producer Armin Van Buuren may provide false hope, being a little funkier than the rest of the disc, but subsequent tunes such as Magnetic Girl, Be Like You with JanSoon, and Moments In Peace are more likely to lull you to a peaceful temporary slumber. The rest of the tracks tend to follow this trend. Are they well-produced? Yes, and it feels as though ATB finds tranquility and enjoyment while composing them. Although many fans enjoy this different visage of the project, this is not what ATB has been primarily known for, so this disc may receive less play overall. This is the first time, however, that ATB has used vocalists on an ambient disc, so at least he is moving forward creatively. Furthermore, if you were lucky enough to find the deluxe release with the third disc, you'll be able to jam to club-specific versions of a number of tracks from the first disc. Determining whether you'll enjoy this album or not is dependent on whether you like trance and/or chill-out music and whether you have been an ATB fan in the past (or have even heard of ATB in the first place). Whatever you decide, know that when you select "Distant Earth" for your listening pleasure, you are making an investment in a solid set of songs that may grow on you over time the more you listen.